Often times when planting new garden areas or finessing old ones, holes appear that can be temporarily filled with something of interest. We aren’t always quite certain what belongs there yet the gaps are noticeable. For instance, when you plant new shrubs, you should always space the plants accordingly. You must allow ample room for the shrub to mature. In the interim, you may have to contend with a number of bare spaces between the shrubs. One method of creating some seasonal interest without hampering the growth of your shrubs is to fill the gaps with perennials or groundcovers. Pick compatible plant materials. 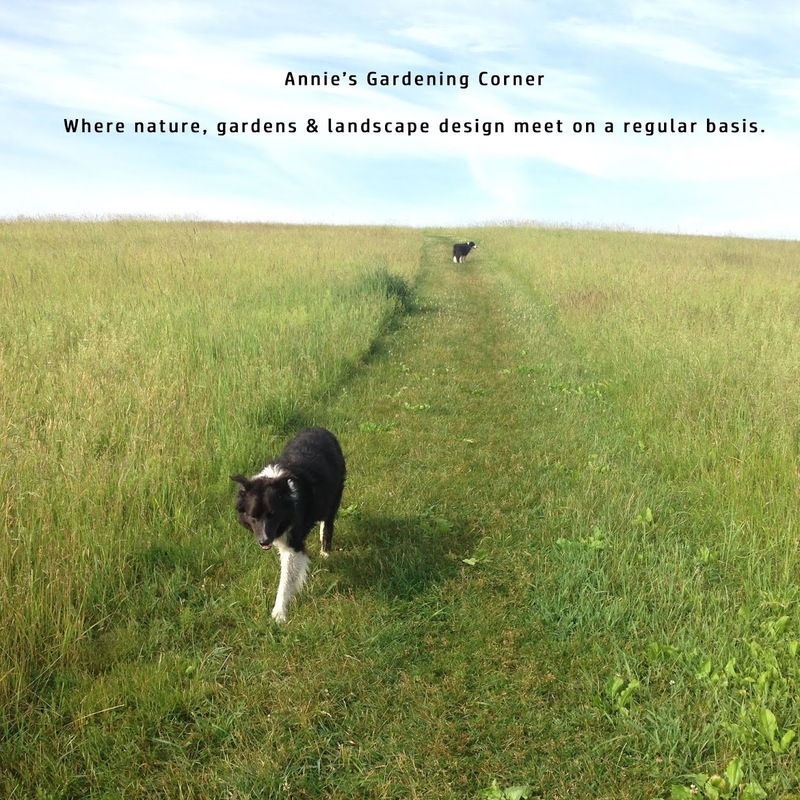 Same thing applies when establishing a perennial border. Often times there is spacing, more than you would like to see in that first season. You can always plant quick growing annuals that also offer color throughout the season. Another option is to use containers and pots. In this photo, the high-bush blueberry (in the far back) was recently moved to this location. The Chinese Rhubarb, there the year prior, adds real contrast and texture to the border with its sculptural leaf. 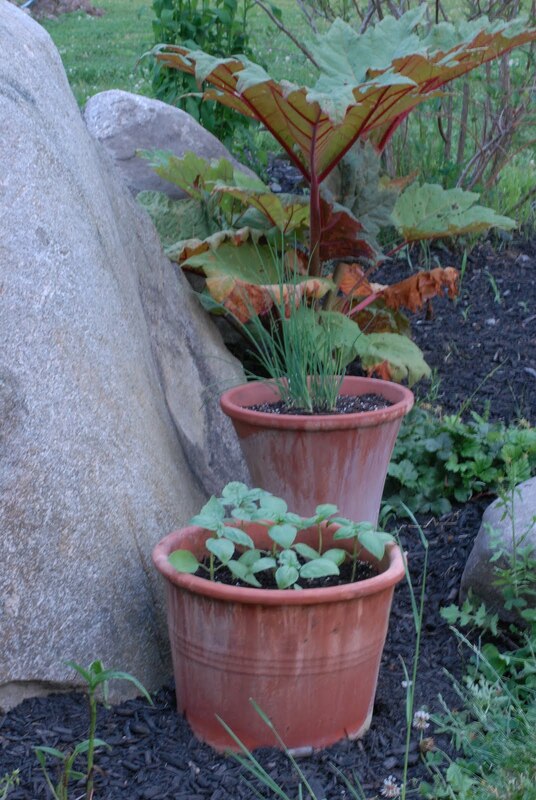 It also picks up the subtle hues of the recently placed terracotta pots. Chives are in the vase-shaped container and basil is in the forefront. It’s a work in progress yet the larger gaps are filled and more interest is added to an otherwise boring spot. This year, I opted not to purchase lots of annuals for my containers. I am using my larger pots for herbs and veggies. Although there are many already planted in the garden, the extras in the containers cover up the bare spots and provide additional nibbles for the table.